There is no set answer because every project is unique. But we will give you a general idea. A smaller, basic job of 8 lights across the front of a home including the facade and plantings averages about $2,500. We have also done projects encompassing an entire large property which might cost as much as $15,000. We can give an exact proposal for design and installation after visiting your site. And, of course, we want to meet you and talk about your expectations. What contributes to the cost? Our systems are built to last and to be trouble-free for YEARS. 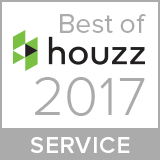 We install only brass or copper fixtures, which are superior for longevity in the harsh outdoor conditions, compared with cheaper fixtures that are painted aluminum. We use the highest quality warm-white LED lamps in our fixtures. 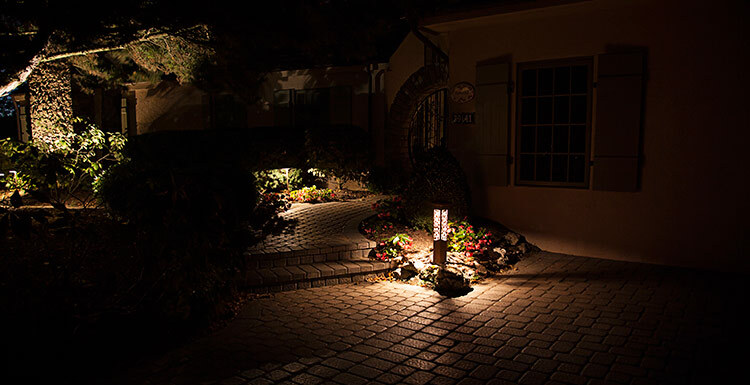 Good landscape lighting is more than sticking a few spotlights in the ground. 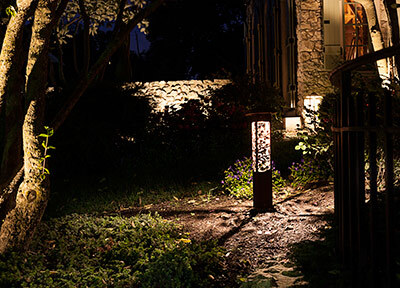 Our projects are carefully designed to make your home a nighttime portrait in light. We know light and we are blessed with a great eye for design. Great! When can we get started? Give us a call at (419) 502-8988, or email phil@starrynightlighting.com, to ask questions or to schedule an initial in-person consultation at no charge to you.